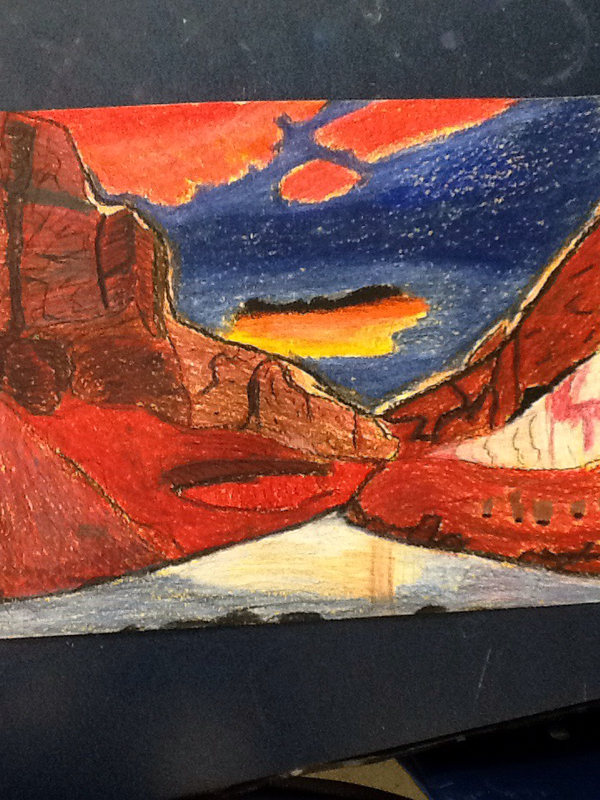 What I made was an oil pastel drawing a Canyon at sun set. A skill I used to make this was mixing colors together to make lighter or darker versions of the color. One element I used was color because how all the color goes together to make an art piece. I created this when I saw the picture because I love the colors of canyons. This is made of organic lines which is the flower and the horizontal lines is the pyramid. 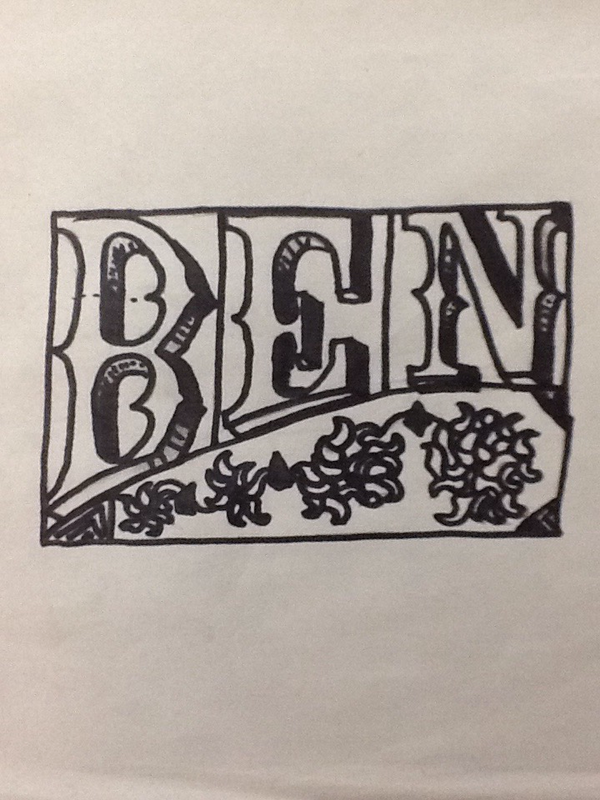 I used some shading and three dimensional shapes. One element that I used was line because how the pyramid is lines and more lines connecting and intersecting. 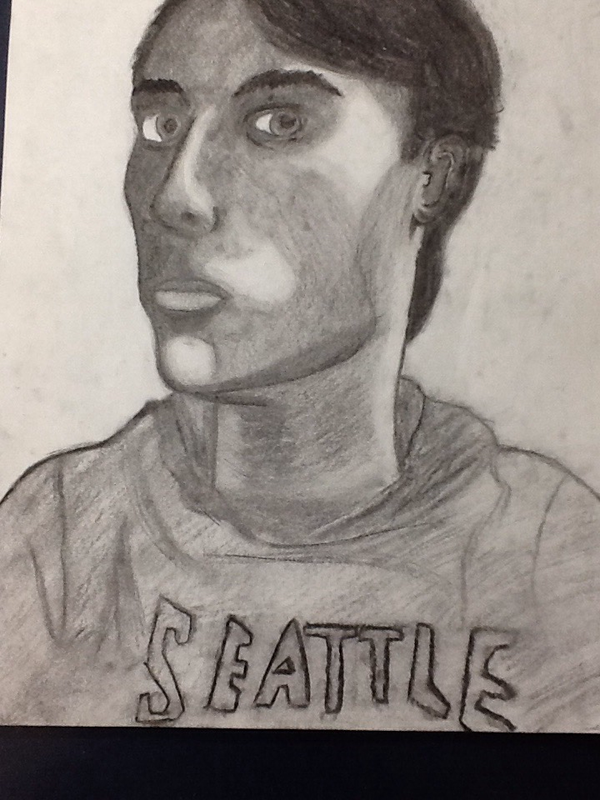 This is a charcoal portrait of my self. 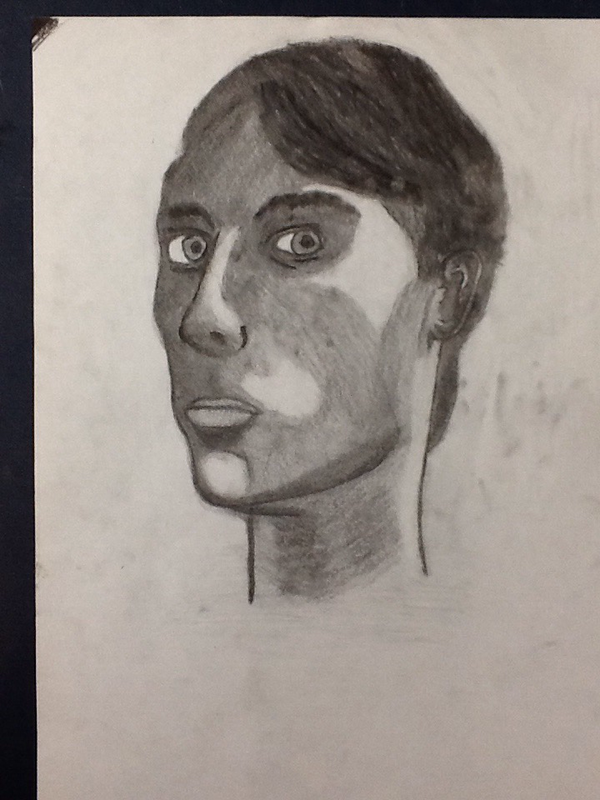 Form drawing this I learned how to shade the different areas of the face giving the portrait lots of depth and life. One element I used was value because I used lots of different values of black and white. I created this because it has the same emotion as the picture I took of my self and represents me. This is my Slab Mug that does not have any detail, just color. 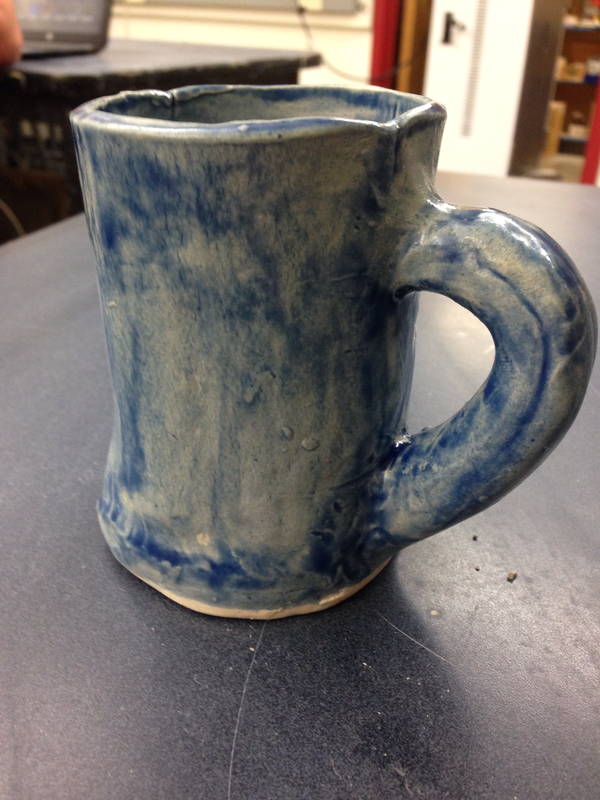 One skill that learned was figuring out how to use the rolling table to create the cylinder for the mug. One element I used for this project was color. This helped the mug look like a beautiful blue color that I enjoy. I created this because I needed to see what it was like to create a mug first before I could create the Sculptural Slab Mug. 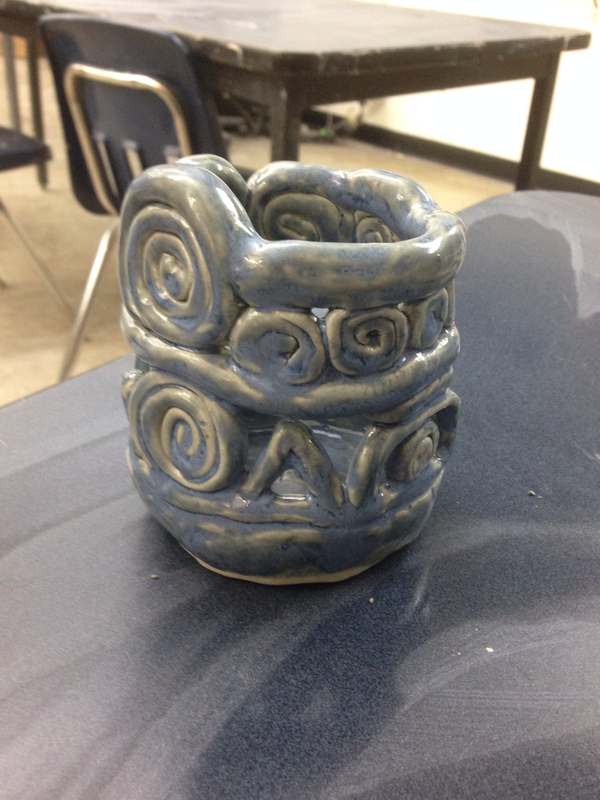 This is my sculptural slab mug that is glazed brown and has really cool details that I came up with. One skill I learned was how to use the clay to make a handle by using clay water. One element I used was texture. 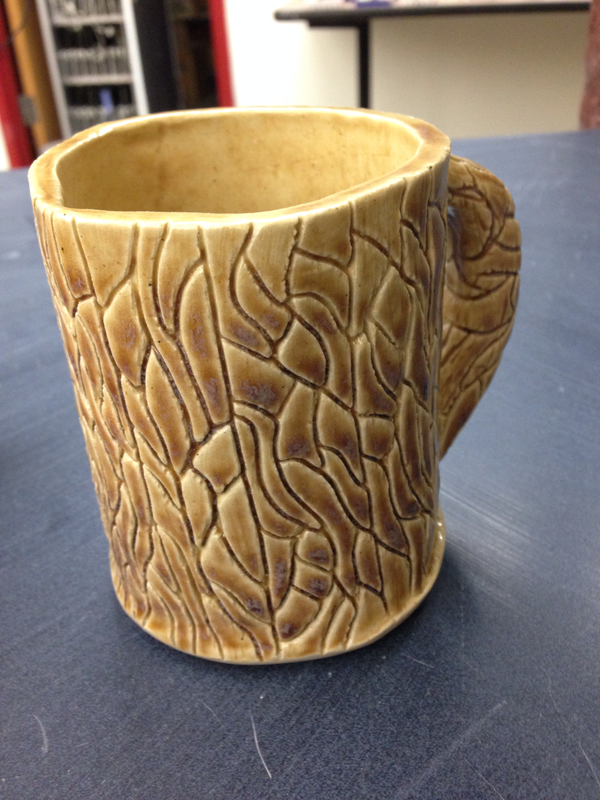 I used texture when I created the design for the sculptural slab mug. I created this mug because I wanted to see how this design would turn out on clay and it ended up looking great with glaze. This my choice project that I decided to do. 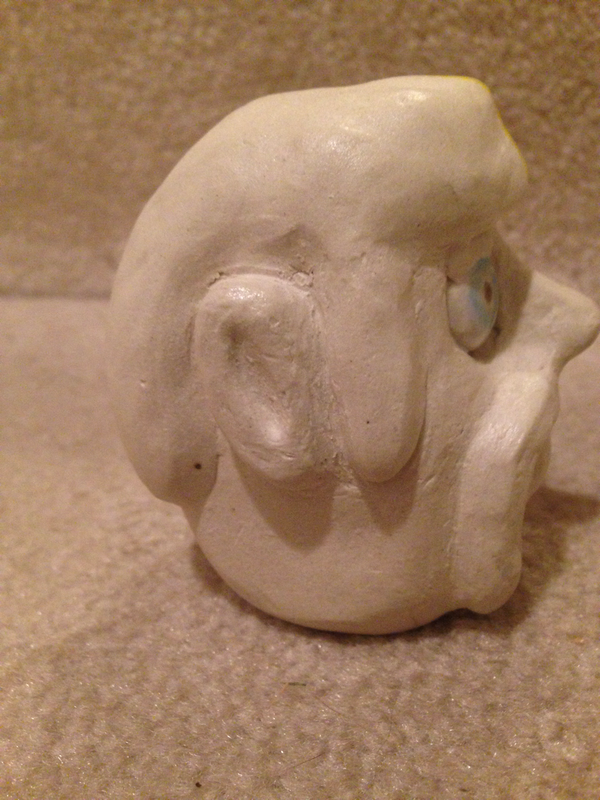 One skill that I learned to use was useing the clay to make new object. I did not even know if it was going to come out perfect or crumbled. One element I used was design because I made a bunch of engravings all on the pot. 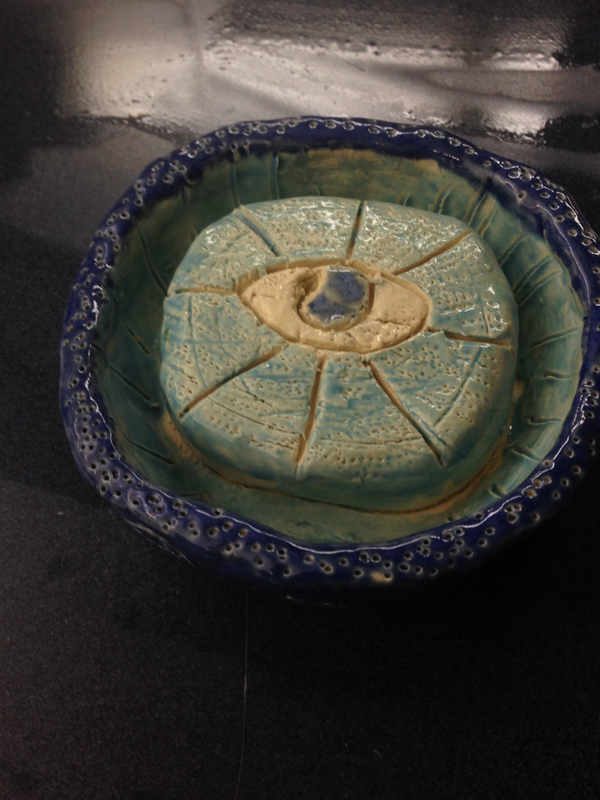 I created this because I want to see what I could with just clay and glaze.